During your time at STAY 1206 , you'll be provided with clean sheets, a blanket, pillows, hand and bath towels, shampoo and conditioner, free 24-hour Wifi internet access, full kitchen access, free single origin drip coffee, a locker with combination lock. We have two shared sleeping rooms that sleep 4 people each. 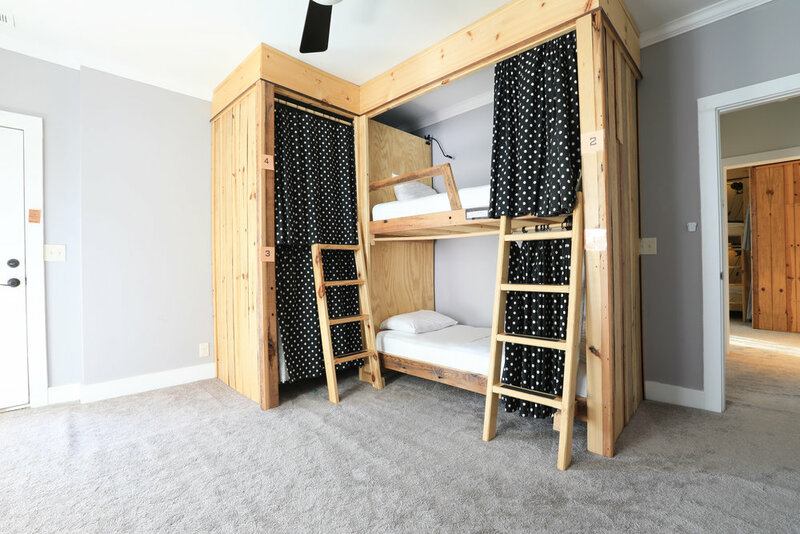 Each room has two hand built pod style bunk frames. Each bed accommodates 1 person. They come equipped with an individual acoustic curtain, built in shelving, reading lamp, soft sheets, a cozy blanket, and one hell of a mattress . Even though you're sleeping in the same room as others, a Pod Bunk provides you with legitimate sleeping privacy and comfort. There's a locker available for each bunk and a vanity station in each room. Also, if you’re traveling with a smaller sized group you can rent a dorm to yourself. 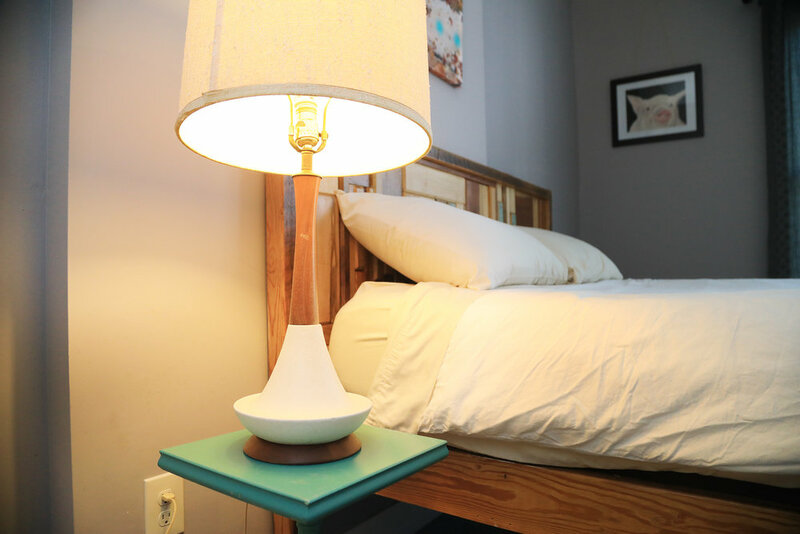 With 48-hours notice, we will set apart your dorm for you and up to three guest. We have one private room available with a custom hand built queen bed. The room accommodates two people. It comes with a lock on the door, a ceiling fan, an area fan for white noise, closet space, a lounging chair, and a vanity station. Perfect room for a couple or single travelers wanting a little space. Please keep in mind, you still share the two full bathrooms with the other guests, so you must still be open to the idea of 'shared space'. Please note-there is no television in the private room or anywhere in the house. 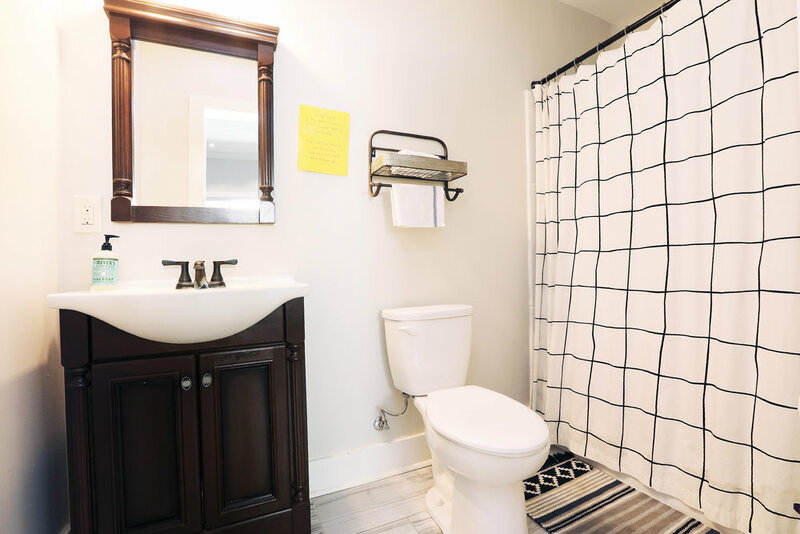 There are two full bathrooms equipped with a sink, mirror, toilet, and shower available for guest use. One is downstairs and one is upstairs. Both bathrooms are shared by all guests at Stay 1206. 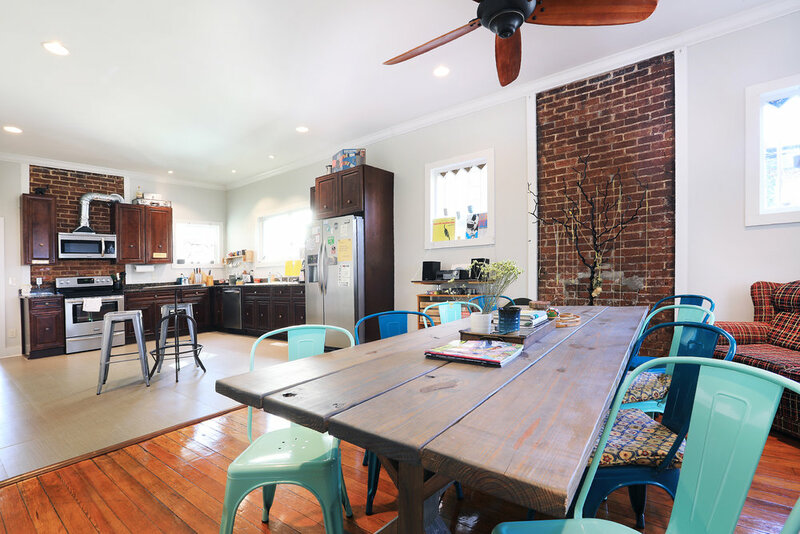 There's a shared spacious kitchen available for all guests staying at Stay 1206. Shared dining area equipped with a large hand built farm table and 8 chairs. Perfect for meals or hanging out. Communal area furnished with a couch, chairs and shared desktop. We also offer free wi-fi through out the entire house. We have three chill outside porches and decks, including a front porch, back deck, and one upstairs deck connected to the female-only dorm room. Sometimes we have backyard parties on the weekends that are a lot of fun.